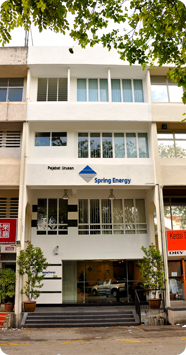 Spring Energy Sdn Bhd (hereinafter called SE) was incorporated on 10th September 1997. The principal activities of SE are contract quarry operation, quarry products, marketing, quarry management and advisory service and carrying out projects related to quarry activities which include earthwork and civil works. SE is an established company in the local quarry industries and is well-known in the market for its mobile crushing operation/service. It is lead managed by a group of skilled and experiences personnel specializing in quarry and civil engineering and construction operations. Our close association and long dealing with major local specialist and suppliers allow us the flexibility to participate in the keenest competition in all projects. The success is a manifestation of company’s reputation for reliability and its management philosophy of excellence in its undertaking.